The hit NBC series will air an episode modeled on a one-act play and confined almost entirely to a hospital waiting room and to a single day, a sharp detour from its usual flashback storytelling. 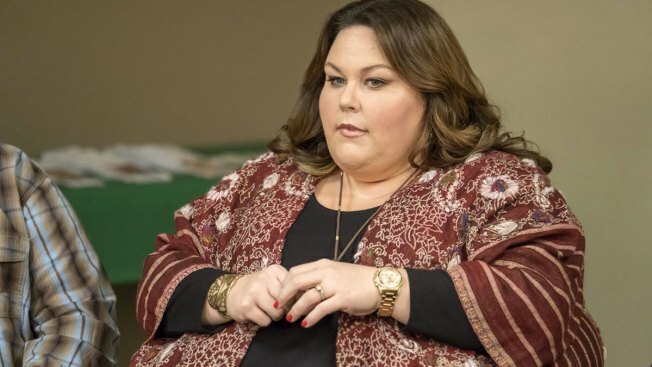 In Tuesday's episode (9 p.m. EDT), the extended — and stretched to the breaking point — Pearson family is gathered after Kate Pearson (Chrissy Metz) goes into early labor. The setting is simple. The drama is anything but. Brothers, spouses and partners clash as their anxiety unleashes anger and hurt over Kevin's (Justin Hartley) alcoholism and Randall and Beth's (Sterling K. Brown, Susan Kelechi Watson) marital strain. As the hours tick by without word about Kate or the baby's fate, there's a frustrated — deeply warranted — outburst from her mom, Rebecca (Mandy Moore), and a milder one from Rebecca's ever-patient husband, Miguel (Jon Huertas). Even Kate's peppy, well-meaning pal Madison (Caitlin Thompson) comes in for a rebuke from a hungover Kevin, while his wary girlfriend, Zoe (Melanie Liburd), weighs their future. "This Is Us " is known for its ability to make viewers cry, which explains the decorative tissue boxes gifted to series creator Dan Fogelman and scattered around his office. But "The Waiting Room" episode is both tougher than usual and a bold departure. Fogelman, also among the series' executive producers, recalled the guidance he gave the episode's author, playwright Bekah Brunstetter, when she started on the script. "'I want to put a really intense, one-act play on national television, but I think the characters and the actors and the audience's knowledge of them will make it accessible because everybody will be on board with them,'" he told her. The result is a showcase for its cast, honored as best drama ensemble by the Screen Actors Guild in January against stiff competition that included FX's "The Americans" and Hulu's "The Handmaid's Tale." It also boasts Emmy winners, Brown among them. "You underestimate these actors as 'television network actors' at your own peril," Fogelman said. "They're doing some heavyweight stage work ... I think they're going to hold the screen for a network audience in a strange form that that audience is not used to." The episode evokes an earlier one in which Kevin enters rehab and, with the family gathered to support him, an 11-minute sequence shot in a single take plays out. But the drama has challenged convention from the start, with its intricate, era-jumping approach to Rebecca and Jack's (Milo Ventimiglia) lives and those of siblings Randall, Kate and Kevin, nicknamed "The Big Three." "I think we've earned the real estate to do a little bit more," Fogelman said, calling Brunstetter the right person for the job. A "This Is Us" writer since the beginning, she has toggled back and forth between the theater, her first love, and an unexpected career in television. The week before "The Waiting Room" was to air, Brunstetter was in New York City for the off-Broadway debut of her play, "The Cake." The episode incorporates elements of a play, allowing for moments of stillness and even silence, she said, which is something frowned upon in traditional TV. It's without a music score, which Fogelman notes is typically key for the series. Brunstetter was especially pleased with how Rebecca is depicted. "I was excited to explore her and to show her be the matriarch, because it's a Jack-centric family. They've lived so many years in the lack of him, it was just cool to show her be strong," she said. The cast, with stage veterans including Chris Sullivan (Toby, Kate's husband), was more than up to the challenge of putting on a play, she said, one that focuses on the core of "This Is Us." "I think we all hope and trust at this point that people watch the show because they love our characters. So my hope is this is a unique opportunity for them to just be with the characters," she said. Stretching the boundaries is the right thing for the show's creative health and its welfare, Fogelman said. "You can't just do the same thing every week. ... If you don't kind of snap your fingers at the audience, I think it can become problematic," he said, given the cascade of options beyond network television that are competing for attention. "We're taking some real leaps, and I think challenging the form as much as any show on cable or streaming right now — all while remaining within our lane," he said.